From the 29th of November to the 1st of December Fontes Foundation attended the Rural Water Supply Network (RWSN) Forum in Kampala, Uganda. 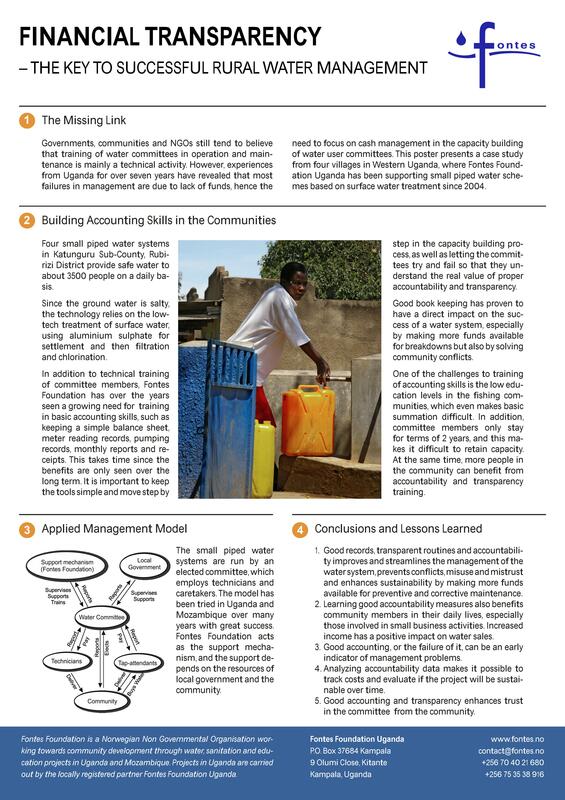 During the Forum Fontes Foundation presented this poster about financial management of rural water supplies. The forum is an international event organised regularly by the Switzerland-based research and consultancy centre SKAT. At the same forum, Fontes Foundation also presented the film “Quissanga – water for 5000 people in 8 days” which shows an innovative approach to implementing rural water supply systems.